If you've underestimated the purchase of your Christmas presents and you despair now, don't worry, we have a rescue for you! Give your close gift voucher worth 500 CZK in our store! The gift voucher can be paid immediately by a credit card or bitcoin. Once the payment is authorized, within a few minutes of your order, the voucher automatically arrives in the mailbox. The e-mail is both a unique code and a PDF template to print to which you can write the code. 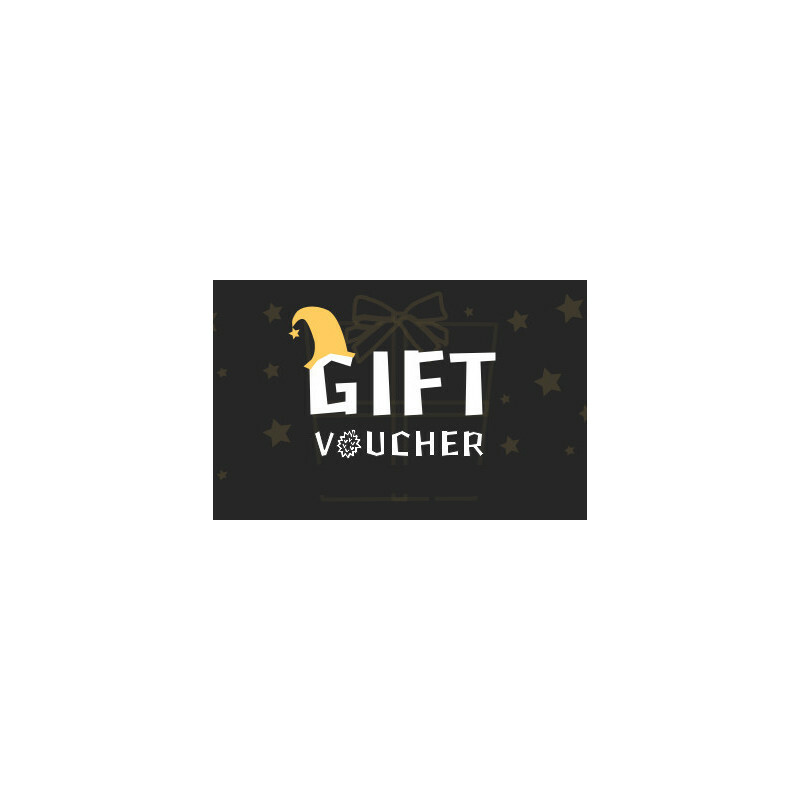 Please note: If you wish to purchase more gift vouchers, please make a separate order for each gift voucher. In case of any problems with delivery of the voucher, please contact us. The recipient opens our website and puts the selected goods in the basket.You can enter a Discount coupon in the order summary in the first step. Enter the eight-digit code you receive, OK, and the voucher value will be deducted from the order. The 21% VAT is already included in the value of the voucher. The value of the voucher will be deducted from the total order price including shipping and 21% VAT. The voucher can also be used for orders in other currencies and its value will be converted on the day of placing the order into the appropriate currency according to the current rate. The voucher can be exchanged for any goods or services offered in our store. The voucher is not convertible for money and the voucher can not be redeemed. In the case of goods for which a gift voucher was purchased, the amount may be repaid in the event of withdrawal from the purchase contract by means of a replacement gift voucher or by creating an adequate credit for the purchase of other goods. The voucher code can only be used once. The voucher is valid until one year from the date of issuance.